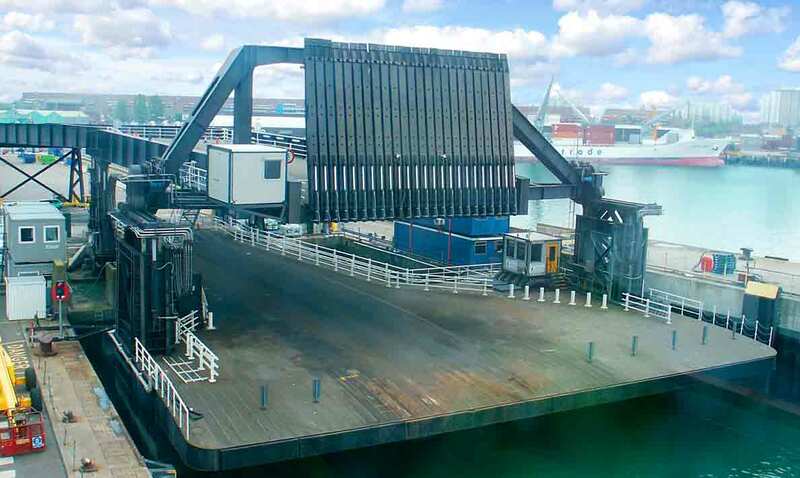 Qualter Hall provided a complete turnkey control system for the upper deck and viaduct 3 of the Berth 3 Ro-Ro facility. 3 sets of 4 vertical lifting cylinders complete with positional sensing linear transducers to maintain synchronised lifting operations to within 5mm of each other. 24 Finger flaps individually actuated by their own cylinder and control valve. 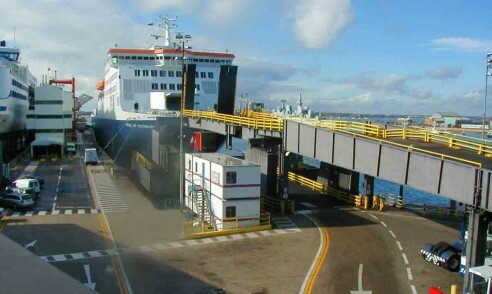 The fingers are deployed in pairs, and the number of pairs are selected to suit the individual vessel using the berth. 4 hydraulic motors complete with rotary transducers to control the horizontal movement of the upper deck (0-4m) and synchronise to within 30mm. 1 hydraulic power pack system complete with stainless steel pipework. 1 electrical control system incorporating a main control desk complete with hardwired back up facility. 1 networking system to allow control of all the lower deck functions from the upper deck, and remote access via a modem.